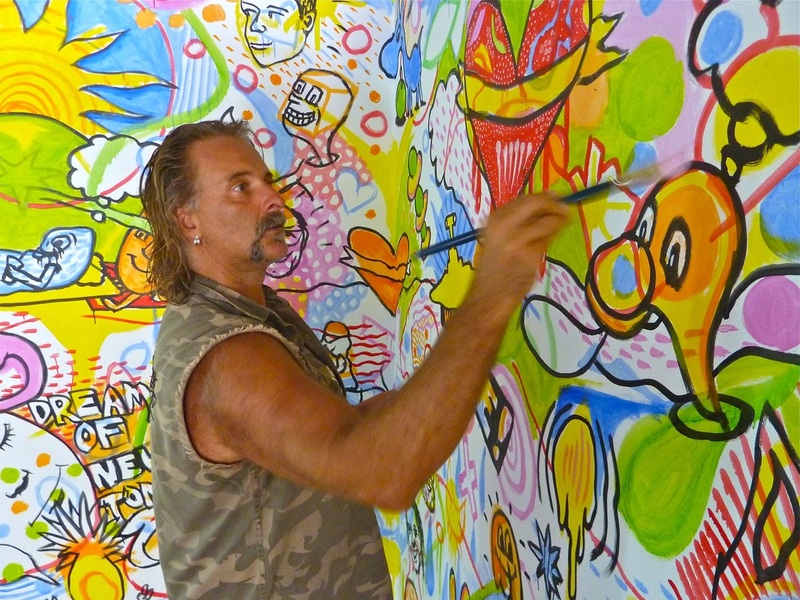 Lewie JPD has been doing murals by commission since 1980, including walls (and floors and ceilings) at Oxford Arcade Juice Bar, Bondi Diggers Cafe, Lo Prestis Cafe, Newtown cafe and Harbourside Brasserie in Australia as well as Comos cafe and Erinabi in Tokyo, Japan. 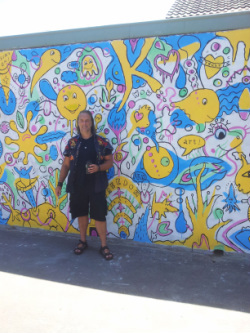 He loves to work large scale and creates original, colourful, positive energy motifs that are memorable and enjoyed by patrons, young and old. 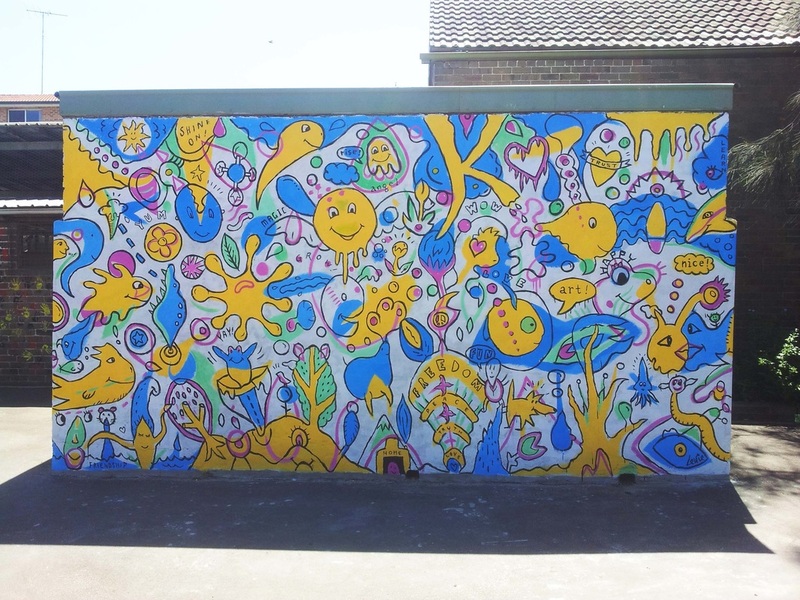 The big kid in the picture was commissioned to do this fun piece of wall art for the little kids at KPS in December, 2012. Driving home after finishing it, his inner little kid was happy cause he finally realised a dream - to paint a whole wall with his art - and get money for lollies for doing it! Work at Harry's began as one wall and ended up being five walls, the shop banner, twelve tables, six bench tops, multiple blackboards and a large canvas. The art has been featured in magazines and websites from Australia and overseas, as well as in adverts and promo posters.